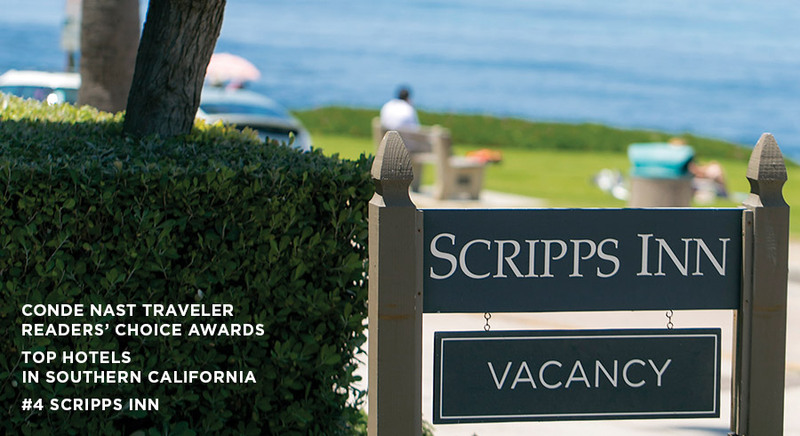 Scripps Inn in La Jolla Cove offers quintessential Southern California charm in an intimate setting. With 14 unique guest rooms, some with kitchenettes, some with fireplaces, each offers well appointed accommodations. 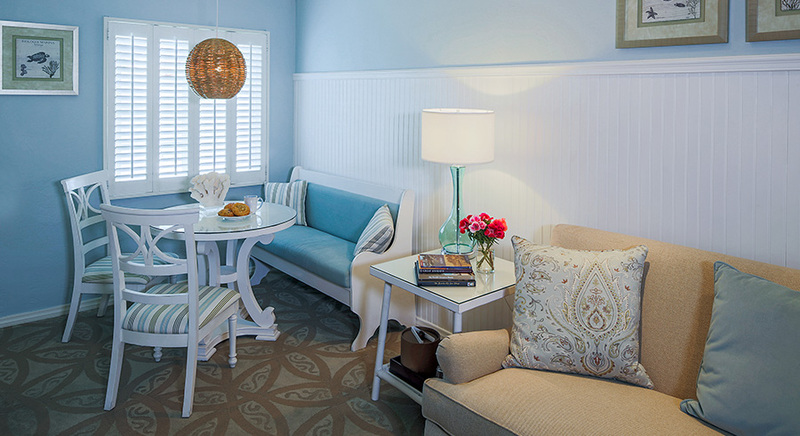 A favorite hideaway for both relaxation and romance, Scripps Inn La Jolla bed and breakfast provides stunning ocean views, gentle sea breezes and relaxing sounds of the rolling surf. 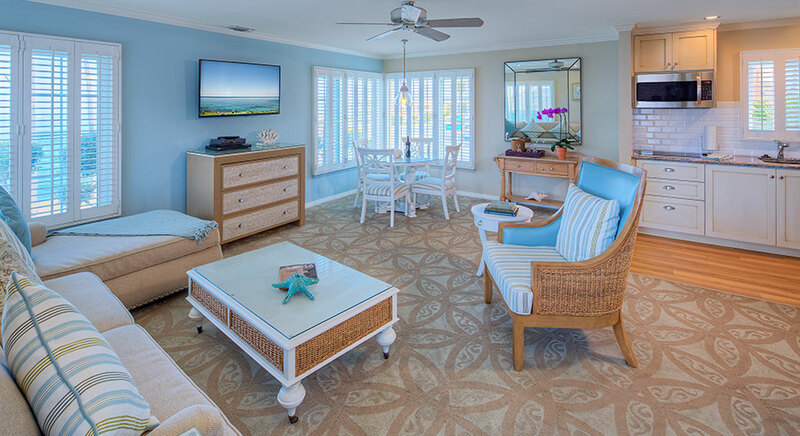 Be sure to take your morning cup of coffee out on the lanai, overlooking the ocean. 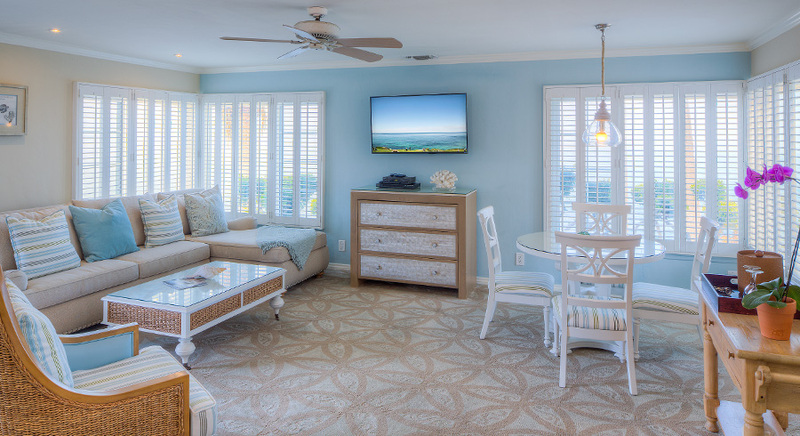 With options like a fireplace, kitchenette or even two bedrooms, our intimate 14 unique guest rooms will have an option that works for your getaway. Refresh and rejuvenate at one of La Jolla's award winning day spas. Experience new adventures with the dolphins. Explore the La Jolla Caves, take a kayak tour or enjoy surfing. Unwind while taking in one of the spectacular San Diego sunsets. 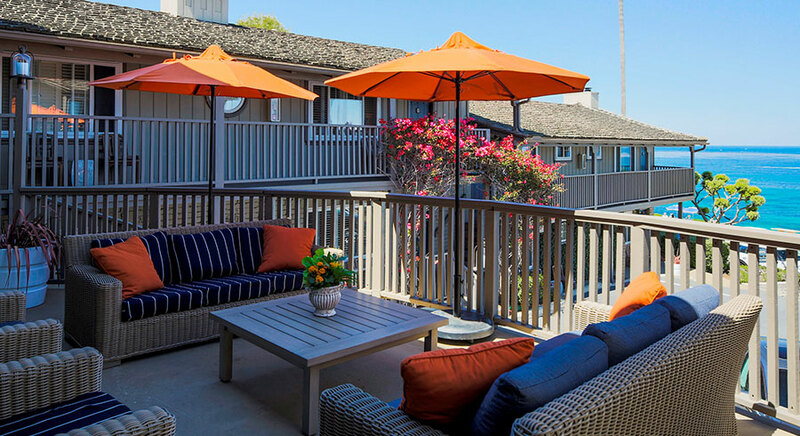 Some of Southern California’s best cuisine can be found within walking distance of our beachfront La Jolla hotel. Whether signature La Jolla restaurants with haute cuisine or casual fare with relaxed menus are on your mind, you will have lots to choose from. The perfect option for seeing the sights or celebrating something special as well as enjoying delicious food, unforgettable scenery, and music. Scripps Inn has partnered with Hornblower Cruises, San Diego’s biggest, fastest and most comfortable yachts for a whale watching adventure. Learn More *Does not include room cost. When booking online, once you select your room type you will be asked if you want to enhance your stay with one of our packages. Select the packages you like best! Some restrictions may apply. 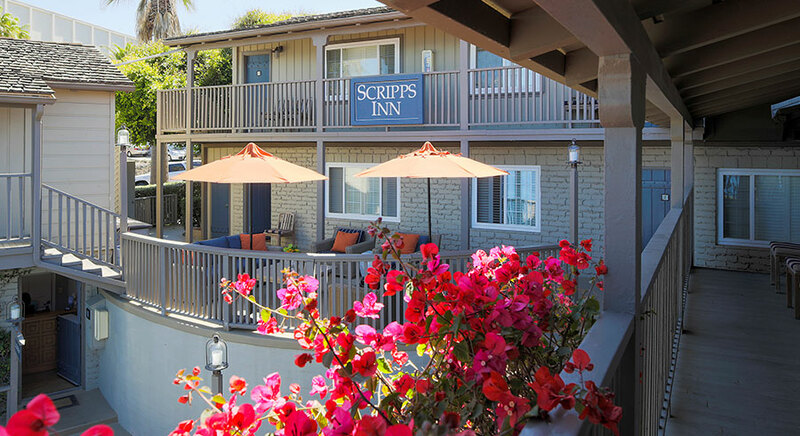 We have a sister property steps from Scripps Inn, Villa La Jolla. Be transported into Gatsby style luxury in this gorgeous 1920’s mansion in the heart of La Jolla. 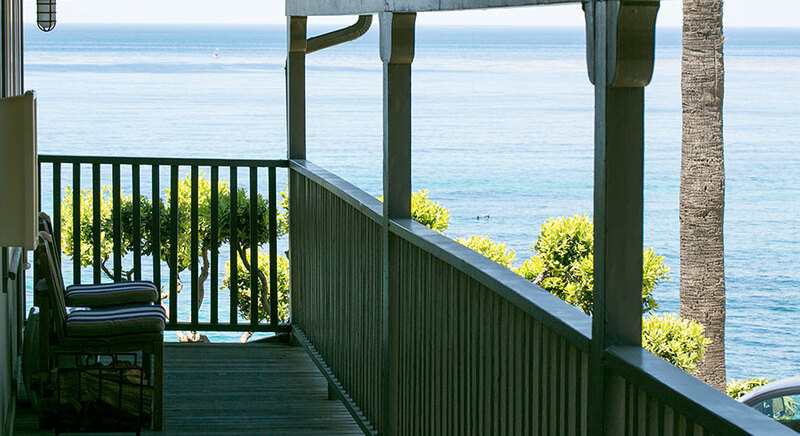 Enjoy a view of the Pacific from the living room and balcony. 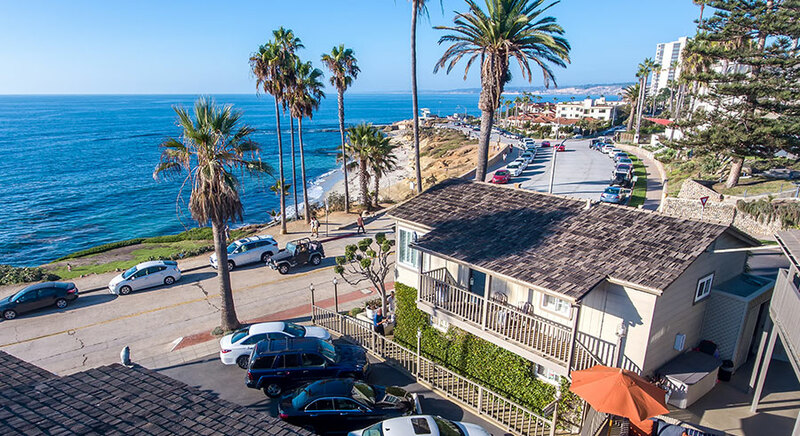 The house is steps away from La Jolla Cove, local shops and restaurants. Recently renovated, every detail is magnificent. © 2019 JC Resorts. All Rights Reserved.